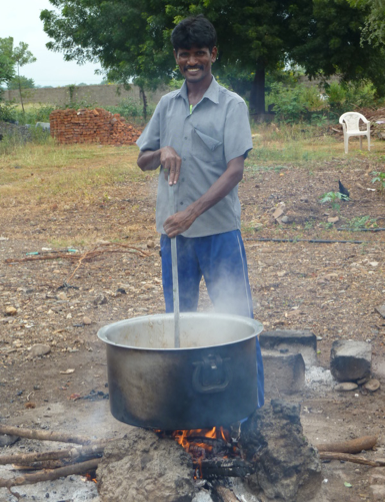 Love, care and concern for the marginalized and displaced people who are unable to alter their own desperate situations of life are at the heart of our work and the reasons why Balamma Satram at Holy Family, Home for the Needy, was founded. 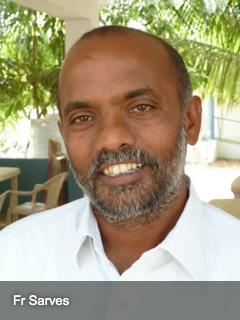 It is an Anglo/Indian project, the vision and dream of Fr Sarves, a Roman Catholic priest from the Diocese of Kadapa, Andhra Pradesh, South India and the response from a group of people in the Midlands and the North East of England. In the year 2000, Fr Sarves came to England to recuperate after suffering a heart attack at the early age of 35 years. During his stay, he was cared for by Mary Skaag, a former parishioner of St Patrick’s Church, Consett, who now lives in Coventry. 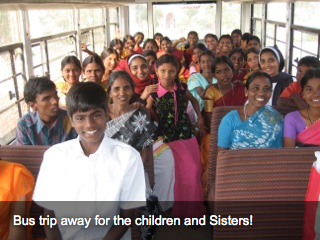 After hearing all the heart rendering stories from Fr Sarves, Mary decided to visit India. Her visit was an ordeal, she could not believe that people could still be living in the stables with the animals and that children were not able to go to school. 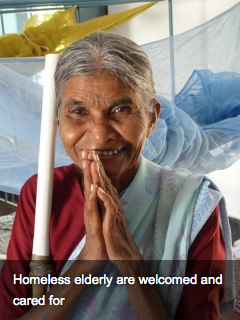 She saw the elderly dying on the roadside with no one to care for them. Even Fr Sarves’s presbytery was broken and shack like. Mary came back to England and decided to do something about it. She gathered funds from friends and family. 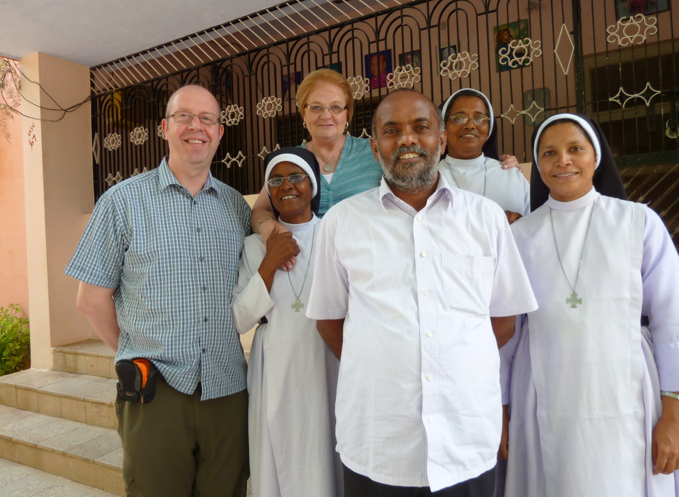 She asked priests for appeals in the churches and in 2003, Fr Jeff became involved through an appeal in his church and has now been to India with Mary several times. 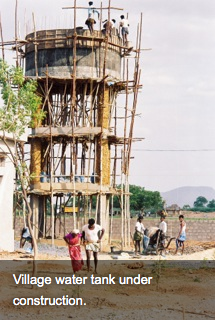 With the money that has been collected a small village has been built. 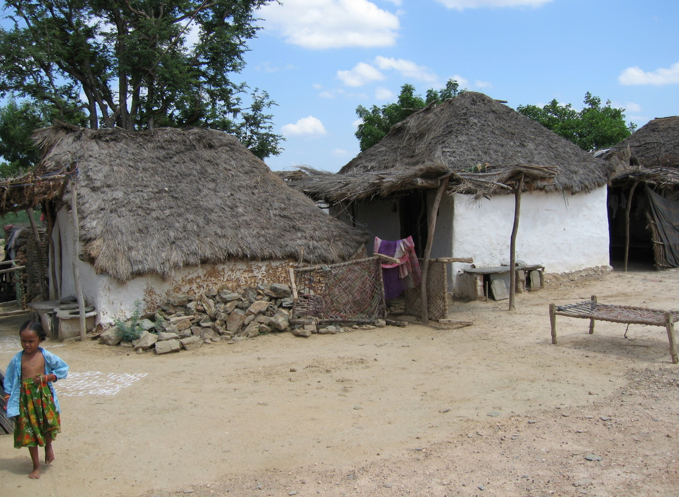 There are several bungalow type homes which house between twelve and twenty persons in each. 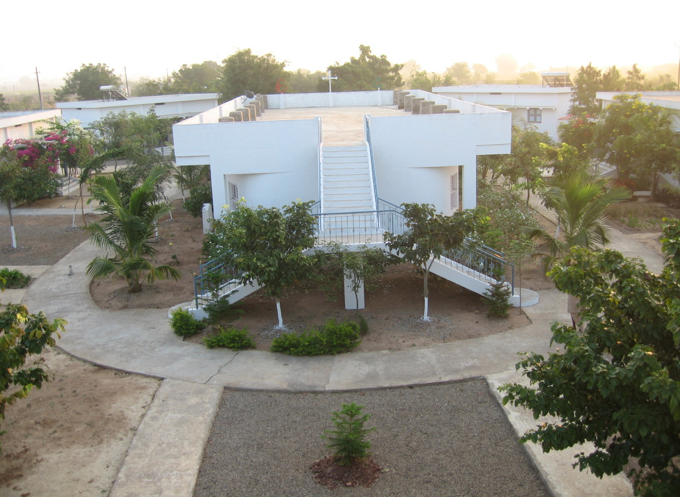 There is a chapel, central community hall, a community kitchen with several out buildings and a small medical/hospital block. 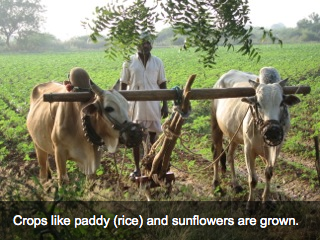 Some of the land has been developed for the growing of crops and the water for both domestic use and agricultural use comes from four bore wells and an overhead water tank that holds 80,000 litres of water. 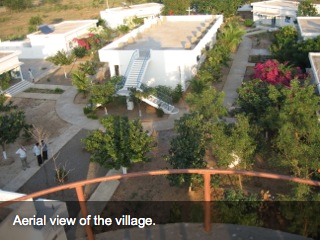 The village itself is a home to all destitute and abandoned persons regardless of caste, religion or gender. A high standard of care is given to both the young and the elderly. 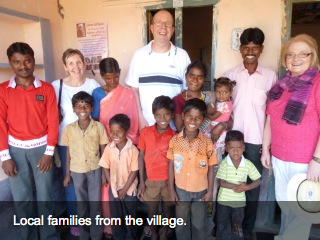 This Indian project is in the hands of God and through the generous giving of God’s people in all our parishes here in the North East, lives have been saved, healed and transformed.